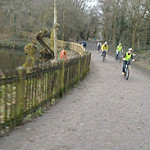 Ride to Alexandra Palace via Hampstead and the Parkland Walk and back via Finsbury Park and another section of the Parkland Walk. Led by Geoff Stilwell. 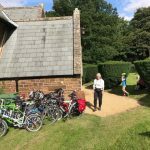 Report on a circular ride from Flitwick Station with lunch at Shuttleworth collection and tea at St Mary’s, Haynes. 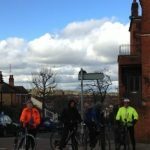 We have a programme of monthly rides in and around London. 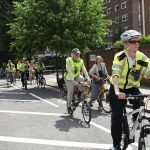 Add these to your diaries and check back for details nearer the time. 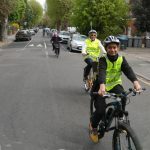 James Brander led a ride around some of the London parks including Regents Park, Hyde Park, Kensington Gardens, Holland Park, Battersea Park and St James Park. 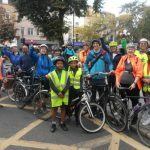 John Chamberlain led the eleventh Round Camden Ride. 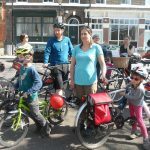 A shorter but challenging ride on what proved to be one of the hottest days of the year so far. 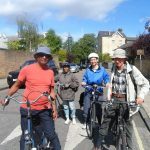 Geoff Stilwell led a ride to visit Fulham Palace and Gardens. Former home of the Bishops of London from the 11th century until 1973. 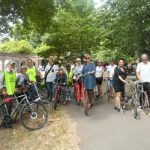 Geoff Stilwell leads an afternoon ride around Gladstone, Roundwood, King Edward VII and Queens Park in Brent and Paddington Recreation Ground in Westminster.